I think this is a PR stunt. It has to be. Otherwise, why not sign a name to it? Or give data, facts, anything to back up this assertion? Also, note that every major outlet has picked this up and launched its own debate on whether or not AN is right. So now, Automotive News is in the public eye in a big way. Admittedly, the article is an editorial and I support Automotive News’ right to its own opinion. That being said, they are wrong in calling for the Demon to be banned from roads. We are all adults—whether some of us choose to act like it, that’s another matter—and should make our decisions for ourselves. For a news outlet to try and create fear of an inanimate object based on opinion is a base tactic that has no place in the automotivejournalistic world. Please see my comment above about this being a PR stunt. 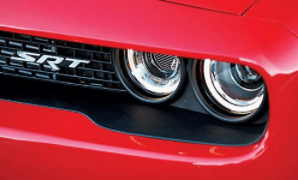 What I find most troublesome are the editorial’s logical fallacies: First is the fallacy that the Dodge Demon’ performance specs and “barely street legal tires” are just as dangerous as Tesla beta-testing its Autopilot on public roads with (unsuspecting?) drivers. This is a comparison that doesn’t make any sense especially since we know that the Autopilot had problems, fatal ones. The insinuation is that the Demon probably will too. And where was Automotive News on that one, anyway? The other fallacy is this: since the NHRA banned the Demon from racing the Demon should be banned from being street legal. Again, this is a fallacy based on causality; just because the NHRA banned the vehicle without a roll bar, doesn’t make it unsafe for public roads. If the editorial isn’t a contrarian PR stunt, then it is plain old nanny state cowardice. This could be dangerous, we are afraid of it, add an emotional appeal about safety and then a call for a ban on the scary unsafe thing. The reality is everything is unsafe. Every. Thing. If you operate a Nissan Versa outside of the established parameters, that too can be a death machine. Heck, even a Smart car could be dangerous if operated poorly. Before the automobile became ubiquitous, way back when it was a gadget, a curiosity, provincial thinkers swore that we were never meant to travel that way and automobiles were too dangerous and should be banned. And how did that work out? While I appreciate Automotive News’ concern, let us make our own decisions.